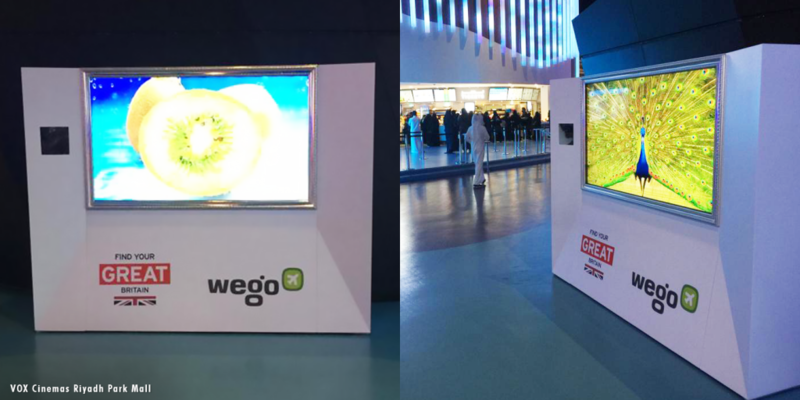 Wego – travel search website and mobile application, recently booked a cinema campaign (in collaboration with VisitBritain) through Motivate Val Morgan at Reel Cinemas (UAE), VOX Cinemas (KSA) and AMC Cinemas (KSA). An engaging off-screen ‘Foyer Display’ embedded with augmented reality technology was installed at Reel Cinemas – The Dubai Mall in UAE from Wednesday 27th February to Thursday 5th March 2019. When a cinemagoer stands in front of the screen, the image of the cinemagoer, together with a background of one of Britain’s most iconic sites (Buckingham Palace, Big ben, etc.) would display on the screen. 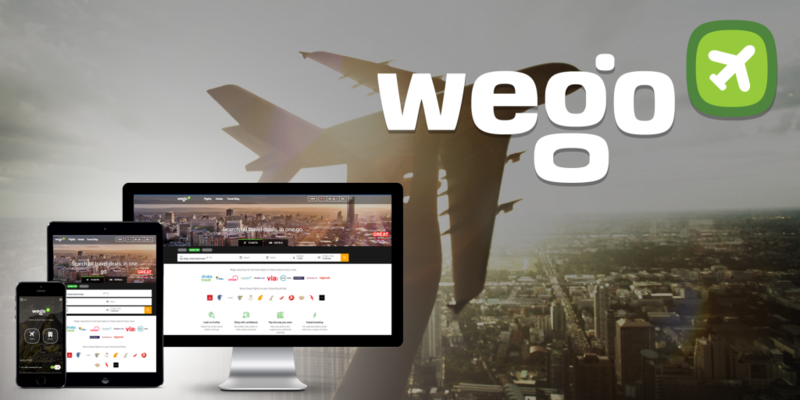 To encourage cinemagoers to search, compare and book a trip to Britain through Wego. A similar display was also set up at VOX Cinemas – Riyadh Park Mall in Saudi Arabia from Monday 11th March to Sunday 17th March 2019. Additionally, two Arabic on-screen ads were booked to screen at VOX Cinemas – Riyadh Park Mall and Red Sea Mall (Jeddah) and AMC Cinemas – KAFD (Riyadh) from Thursday 14th March to Wednesday 20th March 2019. The first ad – which screened for a period of 3 days, features two female actors posting a video of themselves against the backdrop of one of the most cherished British icons – the Big Ben. The second ad – which screened for a period of 4 days, features a male actor driving along Britain’s countryside when his friend unexpectedly appears by the side of his window. Interested in booking a similar on-screen and off-screen campaign through Motivate Val Morgan? Contact a member of our sales team for more information of cinema advertising opportunities across our circuit covering UAE, Lebanon, Oman, Egypt, Qatar, Bahrain, Saudi Arabia and Kuwait.